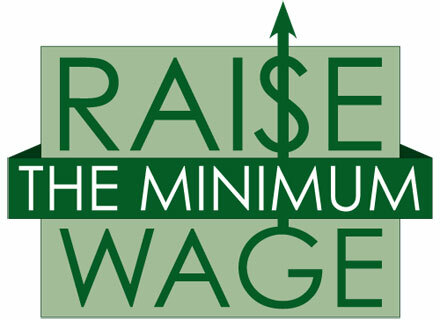 Democrats have introduced a bill this morning to raise the federal minimum wage to $15 per hour. There were 181 Democratic co-sponsors. In addition, the plan would index the pay floor to median wage growth after it rises to $15 per hour in 2024 to ensure it does not lag again. Fortunately, the bill is unlikely to clear the Republican-controlled Senate but it is a sign of the direction the country is headed in. "It would also end provisions that in some cases allow employers to pay workers under age 20 and employees with disabilities less than the wage floor." These exemptions are an interesting reminder that those who originally drafted and voted for the minimum-wage legislation knew full well that it would be adverse to those who cannot deliver (discounted marginal revenue) productivity equal to the minimum wage. That today's Democrats are proposing to get rid of these exemptions suggests that economic education has declined significantly over the years. What a great move by our sophisticated betters. Now we'll no longer have to suffer interactions with grocery baggers with developmental difficulties who nevertheless gain confidence and self worth by having honest jobs and doing real work. I hope the bastards are proud of themselves. Where do they come up with $15 an hour as a "living wage". It's just an arbitrary number. Why not just make it $50 an hour if they want to make it a living wage - or perhaps $70 an hour? A lot of high school kids, semi-retired individuals, etc are going to lose their jobs because of these leftists.